Bergamot Benefits? This Obscure Citrus Fruit’s Oils Relieve Anxiety and Raise HDL (“Good”) Cholesterol – Sense of Urgency! 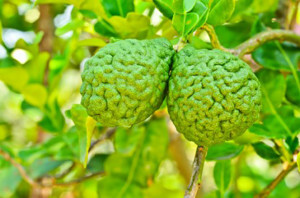 Bergamot oil is used to moisturize hair, tone skin, and as a natural deodorant. One study published in Evidence-Based Complementary and Alternative Medicine looked at how bergamot benefits aromatherapy reduced anxiety in patients scheduled for day surgery. A total of 109 patients were randomly assigned to 30 minutes of bergamot essential oil aromatherapy using an ultrasonic aroma diffuser or placebo therapy (water vapor). All those exposed to bergamot essential oil aromatherapy showed a greater reduction in pre-operative anxiety than those in the control group. Compared to baseline, those undergoing the bergamot essential oil aromatherapy exhibited significant decreases in anxiety scores, heart rate, and blood pressure, whereas no changes were observed in those in the placebo group. Bergamot fruit, meanwhile, is practically inedible but is also packed with a remarkable spectrum of healing phytochemicals that are finally starting to be researched and documented. The fruit is unique in both the types of phytochemicals it contains (mostly different types of flavonoids) as well as their large concentration. The fruit juice and its extract have been shown to improve many aspects of cardiovascular heath, including cholesterol and triglycerides, blood pressure, and blood vessel function. Some of bergomot’s flavonoid compounds are similar in structure and action to statin drugs and have been found to lower cholesterol. Other bergamot compounds are powerful antioxidants that have an affinity for the blood vessels and have been shown to improve blood vessel health and function. Bergamonte® bergamot polypenolic extract is a standardized extract of bergamot fruit containing a minimum of 25 percent flavanones, including 1 percent Melitidine and 2 percent Bruteridine. These compounds have been proposed to lower cholesterol by working like statin drugs in that they inhibit the enzyme HMG-CoA reductase. Bergamonte® bergamot polypenolic extract is sold by a number of supplement companies in the United States and has been the subject of a number of animal and human clinical studies showing impressive results. Italian researchers studied bergamot polyphenolic fraction (BPF) in a randomized, double-blind, placebo-controlled trial involving 237 patients with high cholesterol. Some of them also had features of the metabolic syndrome (high blood sugar, high triglycerides, and low HDL cholesterol). The subjects took either 500 mg or 1000 mg of bergamot polyphenolic fraction per day, or placebo, for 30 days. Those in the bergamot polyphenolic fraction groups experienced significant average reductions in total cholesterol and LDL cholesterol, and a signiﬁcant increase in HDL cholesterol compared to those in the placebo group. The 59 subjects with metabolic syndrome also experienced a significant decrease in their triglycerides. In that group, total cholesterol dropped from 278 to 199mg/ml, LDL dropped from 188 to 126mg/ml, and triglycerides dropped from 267 to 158 mg/ml. Not only that, but HDL (“good” cholesterol) increased in all patients, up to a striking 64.6 percent. Wow! Bergamot polyphenolic fraction also reduced blood sugar levels by an average of 15 to 25 percent and is therefore of potential benefit in those with prediabetes and metabolic syndrome. Overall, there was not much difference in the 500 mg dose compared to the 1000 mg dose for any of the measured parameters except HDL, which increased significantly more in the group taking the higher, 1000 mg per day dose. Is Bergamot Becoming an Alternative to Statin Drugs? The same group of researchers also conducted a study using a higher dose of bergamot extract as a substitute for statins in 32 patients who could not tolerate statins due to the side effects of these drugs. After stopping statins for two months, they took 500 mg of bergamot extract in capsule form three times a day for a total of 1500 mg per day. After 30 days, the average reduction in total cholesterol was 25 percent, with an average 27.6 percent reduction in LDL cholesterol. There was no reappearance of side effects. For stress and anxiety: To get the anti-anxiety benefits of bergamot essential oil, you have many aromatherapy options. But first, you must make sure you purchase a 100 percent pure essential oil and not a synthetic “fragrance.” You then need a way to get the aroma chemicals into the air so you can breathe them in. As in the aromatherapy study discussed above, you can use a specialized aromatherapy diffuser. Inhalation by diffusion is one of the most common applications of essential oils utilized in studies. Ultrasonic aroma diffusers, like the one used in the study described above, use water and ultrasonic technology to break aroma oils into microscopic particles that are suspended in the air. This method is ideal because it provides a long-lasting and easily-absorbed method of diffusion without damaging the aroma chemicals with heat. Another simple option is to put a couple of drops of the essential oil in a large bowl of hot water and then lean over the bowl to inhale the steam. For cholesterol and blood sugar: To get the benefits of bergamot extract for high cholesterol, triglycerides, or blood sugar, look for capsules or tablets at your local health food store that contain a standardized bergamot extract such as Bergamonte® Bergamot Polyphenolic Extract. Now Foods, for example, and Jarrow Formulas both manufacture supplements using this extract. Take 500 mg twice a day. Like all therapies for cardiovascular and metabolic health, you’ll get the best results with bergamot if you utilize it along with other natural and lifestyle therapies. Since bergamot works like statin drugs by inhibiting the enzyme HMG-CoA reductase, it also—like statins—may deplete Coenzyme Q10 (CoQ10), an important compound essential for energy production. Therefore, be sure to supplement with 50 to 100 mg of hydrosoluble Ubiquinol CoQ10. 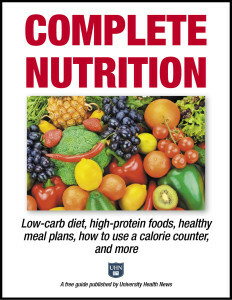 For more ideas on how to treat you cholesterol and/or triglycerides naturally, see our comprehensive guide here. And don’t miss our blog on how black tea (not only green tea) can lower cholesterol naturally. What about you? 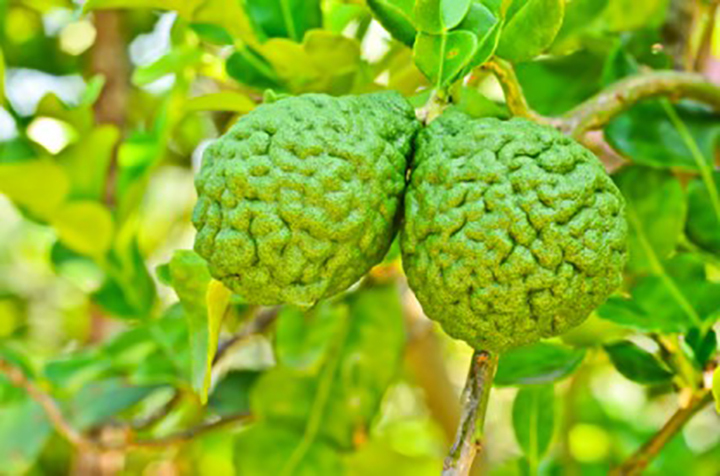 Have you experienced these amazing bergamot benefits? If so, did you use the citrus bergamot essential oils or the bergamot extracts in capsules or tablets? Tell us about your experience with bergamot benefits in the Comments section below. By doing so, you can encourage others who are seeking natural remedies to treat their health conditions. Curr Drug Targets. 2013 Jul;14(8):872-9. Evid Based Complement Alternat Med. 2013;2013:853809. This post originally appeared in 2014 and is regularly uypdated. The post Bergamot Benefits? This Obscure Citrus Fruit’s Oils Relieve Anxiety and Raise HDL (“Good”) Cholesterol appeared first on University Health News.